That will be no issue with the basic kit as the kit is nearly fully compressed to fit in the stock configuration so it can easily extend 2" or perhaps 2.5" without additional mods. Email me or send funds via PayPal...... teecro @ sbcglobal . net (remove spaces) as I've got basic kits at the ready! T Cro, is this still the case? Nothing changed since June, basic kits available only? Yeah only basic kits at this time it has become a real drag trying to find used parts that are in good enough shape for me to resale to people I consider both friends and brothers. I can and will do the work and return to you your parts ; I've done that for a few folks. 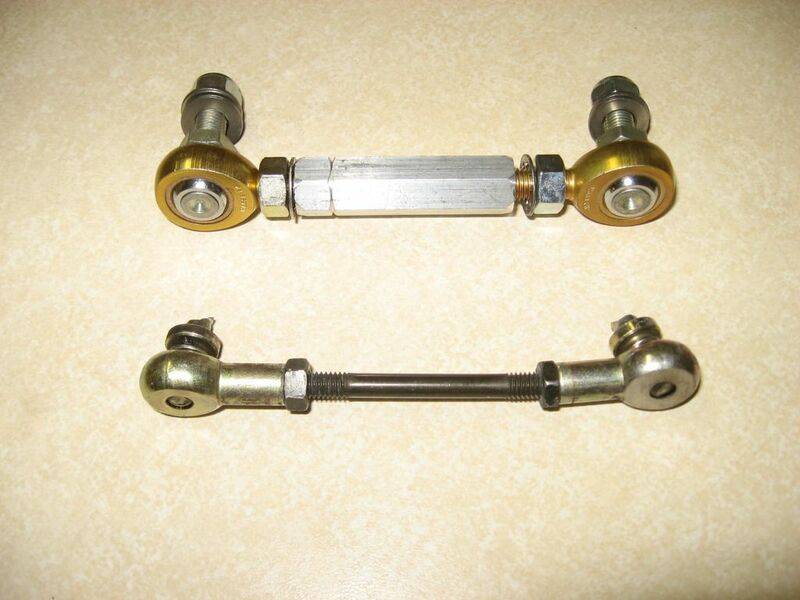 Tony, I would like to inquire about a shift linkage kit. Are you able to ship any out at the moment? Or.... what is the turn around (and cost) if I sent you my set to modify? edit: or I could consider a basic kit if that is available. What are the options at this time? Fav farkles: custom-cut Corbin Seat, Sonic 1.2's, Sisf's righteous carb work, Yamaha ATV bars, Spoofak, Rifle Shield, Stick Coils. What are the options at this time? Wow Tcro. It is a NICE shifter. So solid. Feels like a different bike as far as shifting. I may be wrong, but if you have Kneesavers, it seems to me that your shifter is a better match than the stock shifter, so that is an added bonus. I put on the Kneesavers this off-season and I wasn't happy with the extension as far as adjusting it down. But now, your set-up is perfect. Very glad to hear of another happy set up.... The stock linkage was/is very limited in adjustment length to which my set up and extend quite a bit and still remain quite solid. Also if given a little info and sizing requirements I can likely supply a linkage that will other bikes too. Are these still being made? If so I'd like to buy one. Okay, finally got mine installed, this is definitely and upgrade over the stock linkage. Just to give everyone an idea of the difference in quality...T Cro's is on the top and the stock linkage is on the bottom. I bought mine MANY yrs ago from Tony and it still is working great!! No whimpy linkage ALLOWED! !